What Should Cities Do With Their Icons to White Supremacy? In the aftermath of Dylann Roof’s racist murder, some cities in the South are reconsidering their relationship to the Confederate Flag. Should it fly? Be in a museum? Burn? The discussion raises larger questions of how to move forward from ugly histories without simultaneously whitewashing a city’s past. And, as well, how do we know when something is truly in our past? I was thinking about just these questions a couple weeks ago when a friend of mine walked me by the monument to the Crescent City White League in New Orleans. The conical stone was erected to commemorate the return of white supremacist government two years after a lethal insurrection against the Reconstruction state government in 1874. In that insurrection, thousands of former Confederate soldiers attacked the city police and state military. 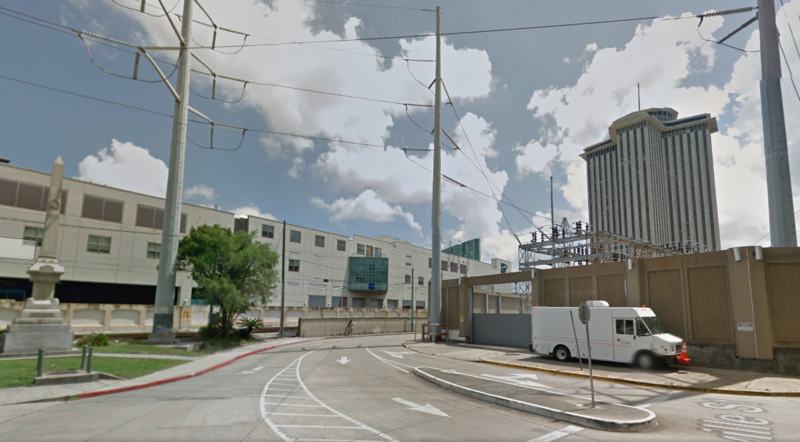 They killed 11 members of the NOPD and held city government buildings for three days before federal troops arrived and they fled. 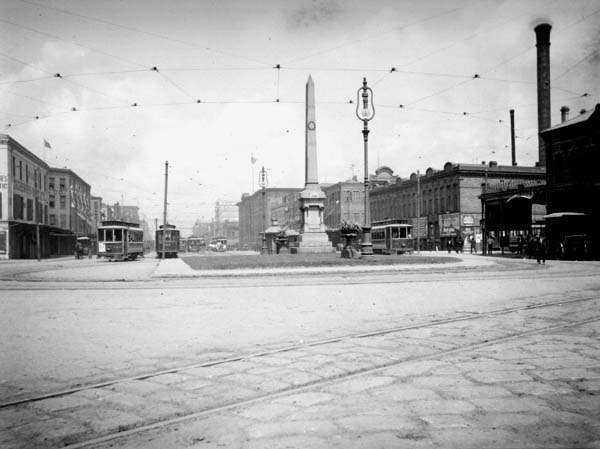 Two years later, the white supremacist politicians were back in power and they placed the monument in a prominent place where Canal St. meets the Mississippi. The monument, to be clear, is in honor of cop-killing white supremacists. So, what to do with the thing? In honor of those Americans on both sides who died in the Battle of Liberty Place. … A conflict of the past that should teach us lessons for the future. So, the question is: What to do with these things? 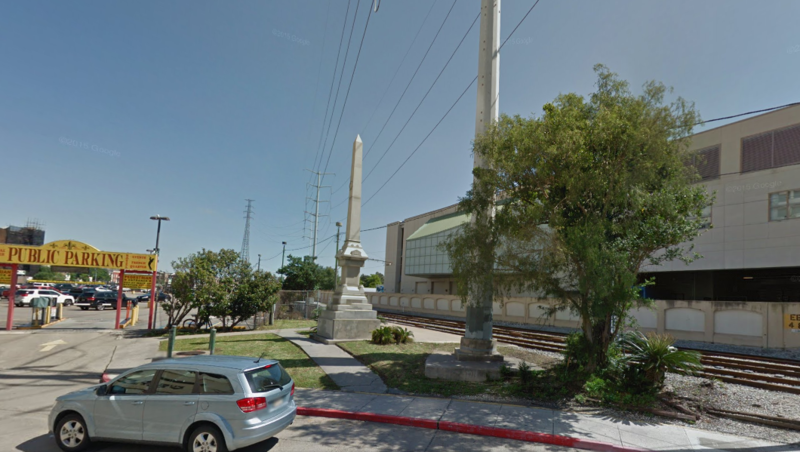 I’ll admit that seeing the monument tucked into an unpleasant corner of New Orleans was somehow satisfying. But I was also uneasy about its displacement. Is this an example of New Orleans trying to repress knowledge of its racist history? (And present?) Or is it a sign that the city actively rejects the values represented by the monument? Conversely, if the city had left the monument at the foot of Canal St. would this be a sign that it took history seriously? And, thus, responsibility for its past? Or a sign that it didn’t take an anti-racist stance seriously enough? This seems like an obviously difficult call to make, but I’m glad that we’re using the horror of Roof’s massacre to begin a discussion about how to handle symbols like these and, maybe, truly make them a part of our past. Cross-posted at A Nerd’s Guide to New Orleans. Good article. I agree with just about everything you say. In the debate over Confederate symbols, it is impossible not to note a very large undercurrent of what I would call Yankee hypocrisy. This occurred to me while watching a New Yorker, Jon Stewart, rage against the insanity of streets in Southern states being named after Confederate generals. Slavery was obviously a large and transcendent evil, a dark period in our country’s history. But for Northerners to call for the eradication of anything Southern that is related to slavery strikes me as hypocrisy of the highest order. New York City itself offers a good example of this. In the 17th century the financing and supply of the slave trade and slave economy became cornerstones of New York’s own economy. Indeed, they were part of what propelled the city to global prominence. Firms like Lehman Brothers, JP Morgan, Aetna and New York life made enormous profits by financing and insuring the South’s “peculiar institution,” as did untold numbers of merchants who profited hugely from the trade in slave-produced goods like sugar and cotton. New York’s early infrastructure, meanwhile, was built in large part on the backs of slave labor, including an early City Hall and stretches of Broadway and Wall Street itself. New York operated a slave market for 50 years, rivaling in size and profits the market in Charleston, South Carolina. At one point forty percent of New York’s households owned slaves. I could go on here at some length. Newport and Boston were also hugely complicit in financing, supplying, and administering the slave trade and the slave economy. A significant part of my home state Connecticut’s own economy was based on it. When I hear the calls to, in effect, expunge all evidence of the existence of the Confederacy from our country, I have to wonder what sort of double standard is at work. If we are to get rid of “Robert E. Lee” as a street name, or “Stonewall Jackson” as the name of elementary schools, should we not also remove forever any references to JP Morgan? How about the 12 U.S. presidents who owned slaves, 8 of whom owned them while in office? Should we remove all references to George Washington, Thomas Jefferson, Andrew Jackson, and others? How about slaveowner Ulysses S. Grant? It is unfortunate that the old battle flag of the Army of Northern Virginia has been used by the Klan and other racist groups and individuals—most recently in Charleston—as a symbol of hate and intolerance. The fact that it has means that it now must be removed from public places. There is really no reasonable argument against this. But speaking as a Connecticut Yankee whose entire family is from the north and whose wife’s family fought for the North, I think it is a bad idea to try to blot out the Confederacy from American history. Just as it would be a bad idea to hold New York City eternally responsible for its former sins. America as a country was deeply complicit in the rise of slavery and in that sense we are all guilty. As Abraham Lincoln, who married the daughter of wealthy Kentucky slave holders, once observed, it is possible to hate the institution without hating every slaveowner. This applies to Birmingham, Alabama, just as surely as it applies to New York and Boston." Here's an idea: knock them down, but leave the ruins there for everyone to see. That way, we aren't playing into the Pollyanna version of the past, but we aren't endorsing monuments to depraved goals, either.